Guardian Garage Floors, your local provider of coating systems for garage floors residential and commercial, offers a perfect alternative to epoxy, floor mats, tiles, rubber flooring, and DIY floor coating kits. Our premium polyaspartic floor coating systems are highly durable, long-lasting, attractive, and affordable. They are ideal not just for garages, but also carports, basements, and commercial floors. In today’s blog post, we answer the most asked questions regarding polyaspartic coatings. Q: What Are Polyaspartic Coatings? Polyaspartic coatings are those derived from polyurea coatings, which are commonly used as spray down truck bed liners. In fact, the term “polyaspartic” refers to an “aliphatic” polyurea. Today, they are used as protective resinous coatings for concrete floors. Applying polyaspartic coatings for garage floors utilizes various methods, including the dip and roll and the ribbon and roll. Tools such as squeegees, nap rollers, and seal-coat brooms are often used during applications. Q: How Long Does It Take for the Coating to Dry? One of the best features of polyaspartic coatings is that they cure rapidly. It can dry in a matter of hours or even less. In fact, it can be ready for foot traffic after the said time period. Traditional epoxy coating systems, meanwhile, tend to take about six to eight hours. Q: Can It Be Applied Over an Epoxy Coating? It is possible to apply a polyaspartic coating over an existing epoxy-coated floor. In fact, polyaspartic coatings display intercoat adhesion with epoxy coatings. The floor is first smoothened or polished with sandpaper. Dust is removed and the floor surface is cleaned in preparation for a fresh polyaspartic top coat. 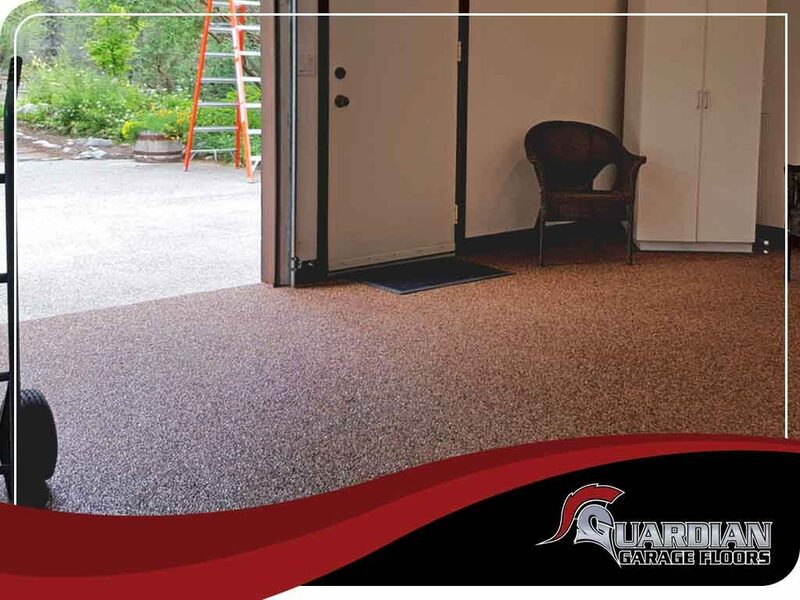 Whether you are looking for residential or commercial flooring installation, Guardian Garage Floors can give you exactly what you’re looking for. We take pride in providing one day garage floors, thanks to the power of our premium coatings. Give us a call at (615) 278-9900 if you are in TN or (404) 334-2797 if you are in GA. You may also fill out our contact form to request a quote. This entry was posted in garage floors and tagged contractor, FAQ, garage.